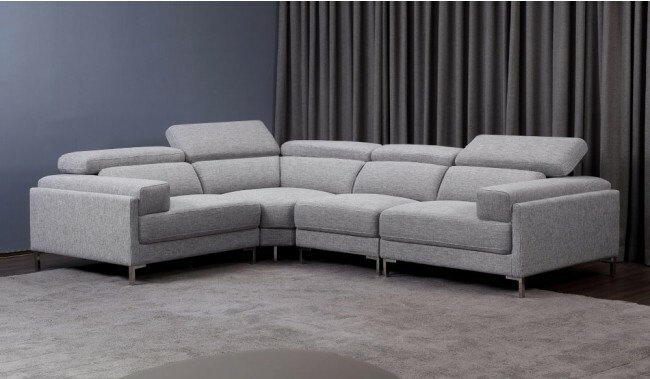 A cool contemporary design sofa with timeless appeal and adjustable headrests for high back support. 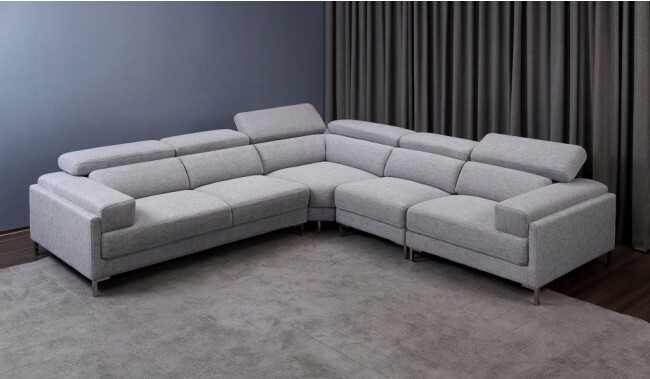 A modern U shape sofa with 25cm width arms and reasonably deep seat depth, comfortable for all including those around the 6ft mark or below. 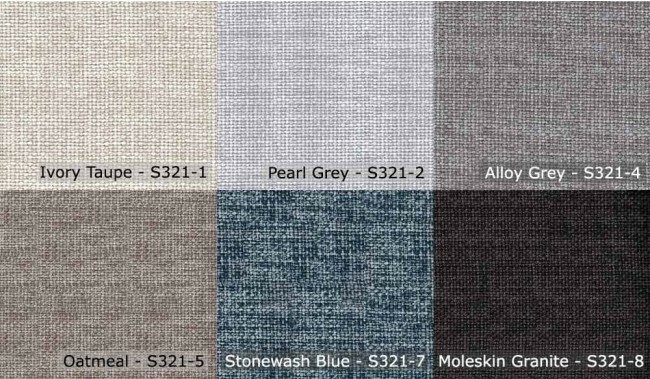 Finished in a high-quality fabric finishes available in 6 different colours. 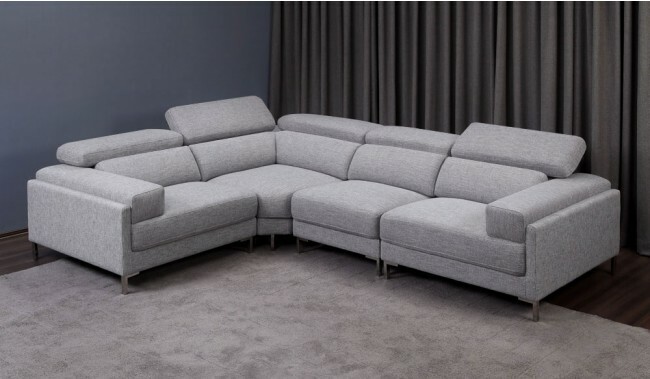 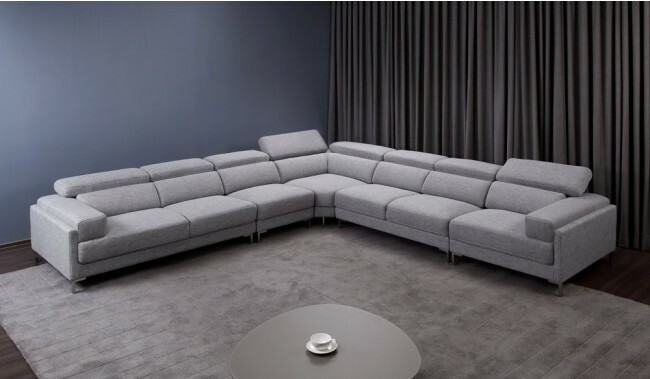 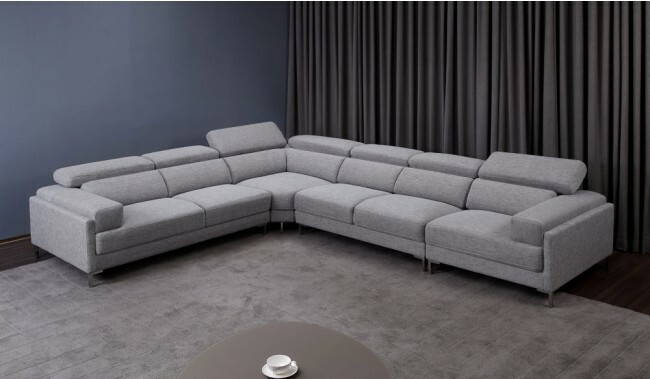 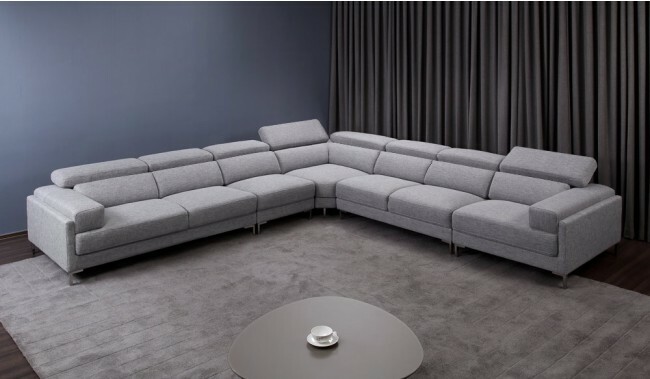 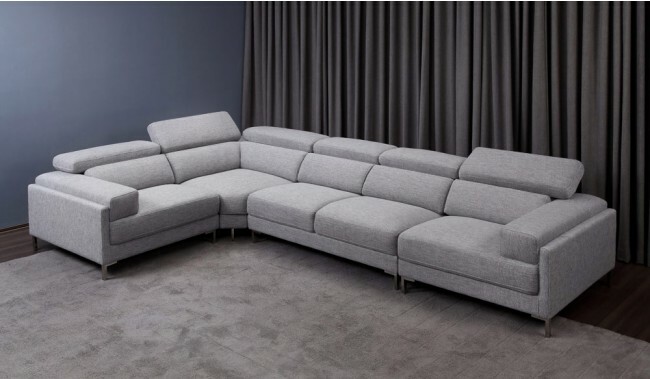 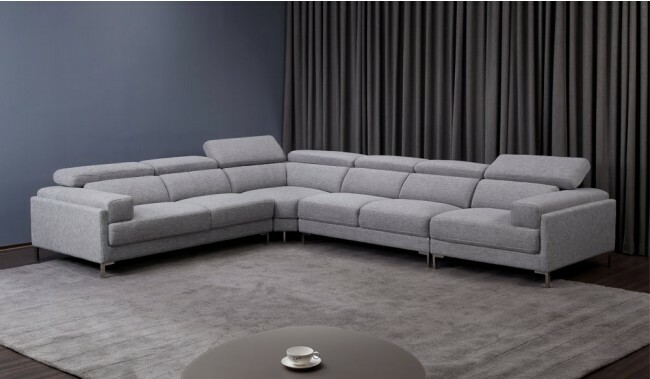 Available to view in our showroom ( leather corner version ) in other sizes; modular, corner, large corner and u-shape, a highly recommended & popular model. 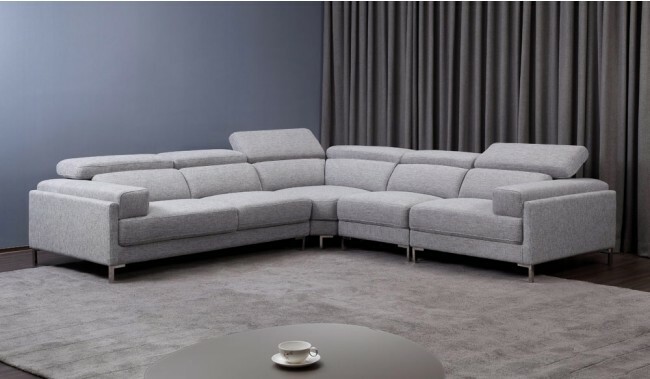 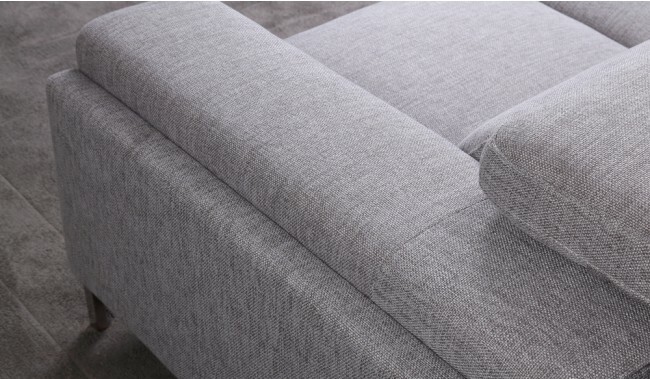 Sofa Covering: Polyester sofa coverings are excellent for sofa coverings as they are highly strong, durable and resistant to stretching and abrasions. 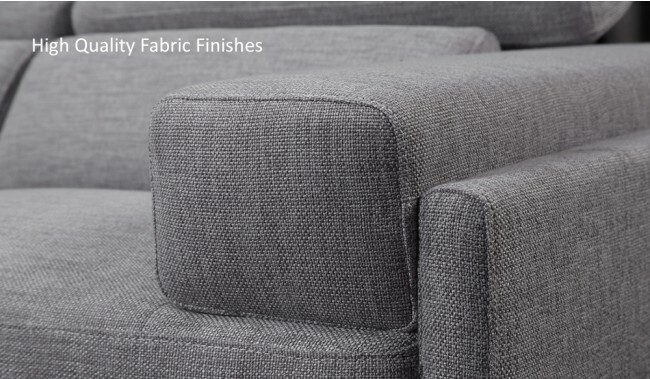 They are easy to wipe clean ( wet wipes are great ) as polyester fibres are synthetic; hydrophobic, meaning they dry quickly and without problems when wiped or cleaned. 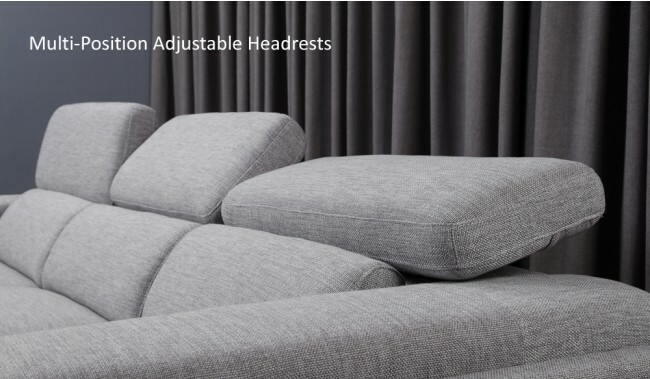 With Multi-Position Adjustable Headrests for high back support.